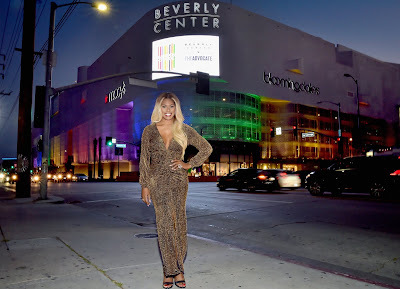 "Orange is the New Black" actress Laverne Coxhosted a special lighting ceremony at Beverly Center ceremoniously flipping the switch to bathe the center's exterior in PRIDE's signature rainbow colors as a symbol of the center's ongoing support of the LGBTQ community. Held at Farmhouse restaurant, the ceremony was held in honor of The Advocate's Champions of PRIDE event that honored notable LGBTQ advocates and allies who have made a significant impact on their community over this past year. 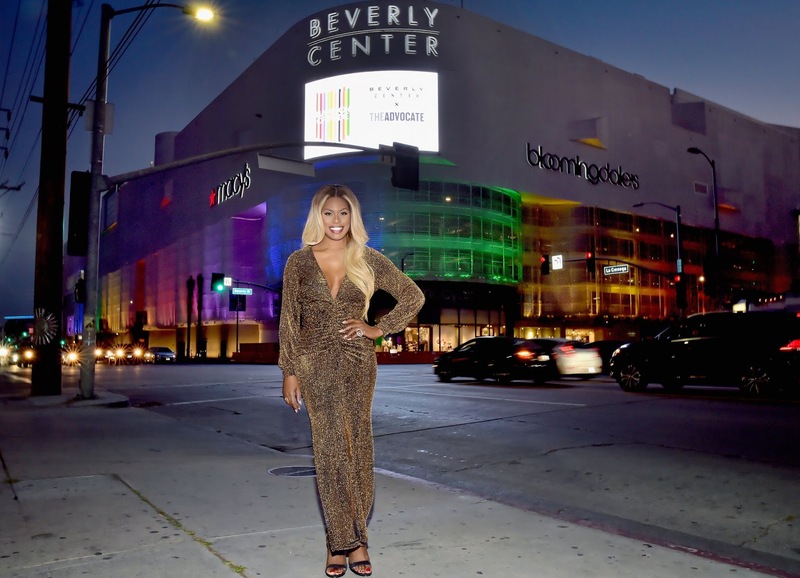 "Beverly Center has welcomed and supported the LGBTQ community since it opened its doors in 1982," Taubman Centers, Inc. Chief Executive Officer William S. Taubman said. "This year, we are proud to be partnering with The Advocate to host the Champions of PRIDE event, as well as light the center in PRIDE's signature rainbow colors." Beverly Center's new lights were installed as part of the center's $500 million reimagination that is scheduled to be completed by Holiday 2018. The newly installed exterior mesh, over which the lights are projected, covers 95,000 sq. ft.
More than 670 custom projectors and over 34,000 LED diodes are able to create four billion colors – more than the human eye can distinguish. This marks the first of many holidays Beverly Center plans to light the building throughout the year including July 4th, Halloween, winter holiday, Valentine's Day and more. Beverly Center is Southern California's premier fashion destination with more than 100 distinctive specialty boutiques reflecting the diverse styles and tastes of Los Angeles, including a paramount portfolio of luxury retailers such as Burberry, Dolce & Gabbana, Fendi, Gucci, Louis Vuitton, Prada, Saint Laurent and Salvatore Ferragamo. The Center is anchored by Bloomingdale's and Macy's. The unique assortment of point-of-difference stores like COS, Henri Bendel and Traffic, paired with the expanded fast fashion collection comprised of Uniqlo, H&M and XXI Forever and contemporary brands Sandro, Maje and Zara make Beverly Center the ultimate shopping experience.